A non-conference schedule that began by unveiling their new arena against No. 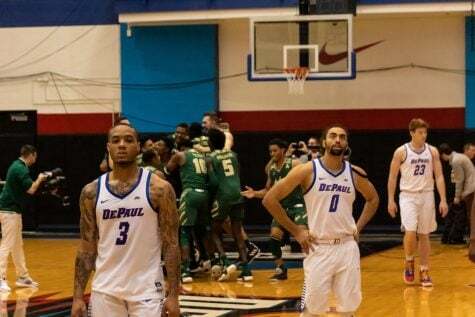 14 Notre Dame wrapped up Thursday evening with an 83-66 victory over Miami (OH) RedHawks (7-5) for DePaul’s sixth win in their last seven games. 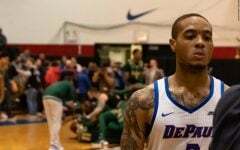 After starting 1-4 in a tough early stretch of games, the Blue Demons (7-5) rebounded with their first five game winning streak since 2012. 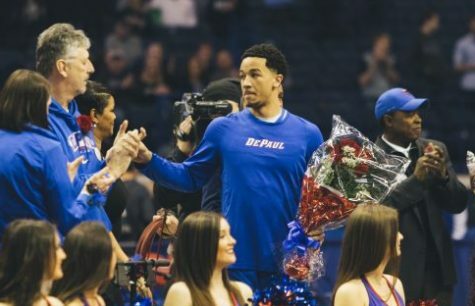 DePaul head coach Dave Leitao says he’s sensed his team received a noticeable confidence boost from the longest winning streak for any player on the roster during their time with the program after some tough moments in recent years. 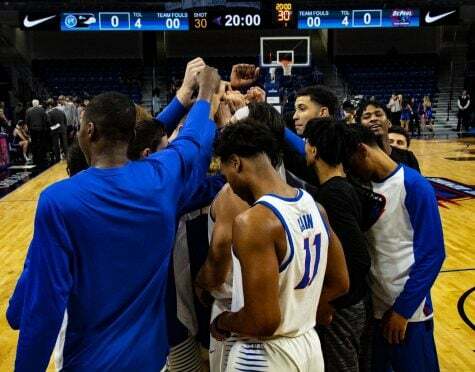 Learning from these tough losses is a big reason senior Tre’Darius McCallum believes this team has developed such quick chemistry and head into conference play on a high note. 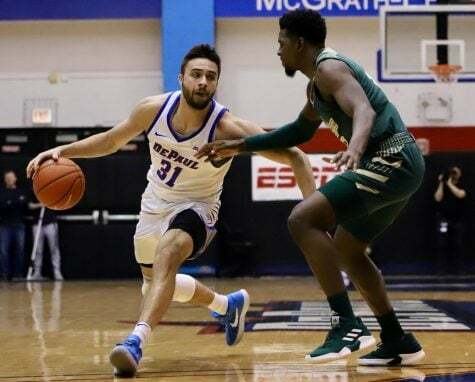 With graduate transfer Marin Maric and fellow transfers Max Strus and Austin Grandstaff headlining a group of veterans eligible to play, junior Eli Cain noted veteran leadership has been key in helping the younger players produce in bigger roles. This non-conference slate has, however, not come without challenges. 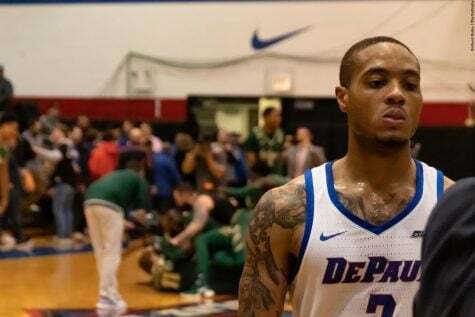 Earlier this month, the Blue Demons announced point guard Devin Gage would miss the rest of the season with a ruptured Achilles. 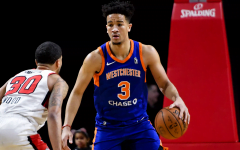 This has forced Eli Cain to handle more of the ball handling duties, something that has affected the rest of the roster as well. 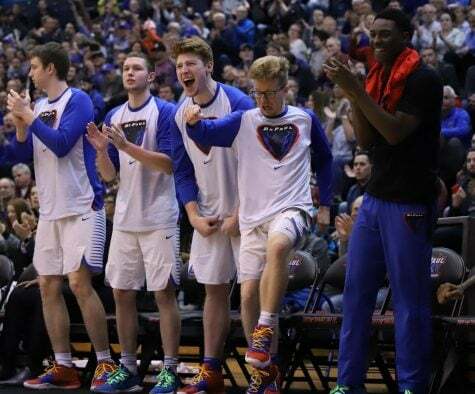 Reinforcements are on the way, however, as DePaul announced shortly before their matchup against Miami (OH) that New Zealand’s U19 national team guard Flynn Cameron will join the program starting this season. 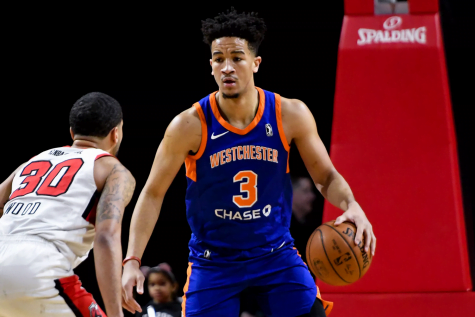 Cameron may be asked to handle some of these ball handling duties and allow Cain to move back to more of a scoring role. 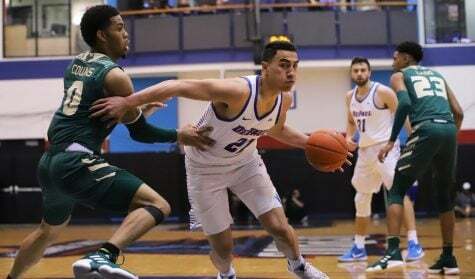 After a slow start to the season, DePaul’s head coach has also been pleased with the recent growth offensively with his squad averaging close to 75 points per game this season, while shooting 43 percent from the field. Junior guard Eli Cain is averaging 12.1 points per game this season. 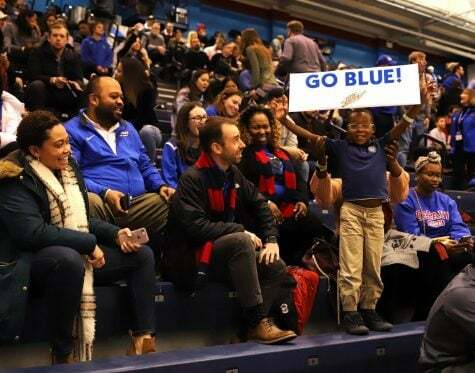 (Photo Courtesy of DePaul Athletics). 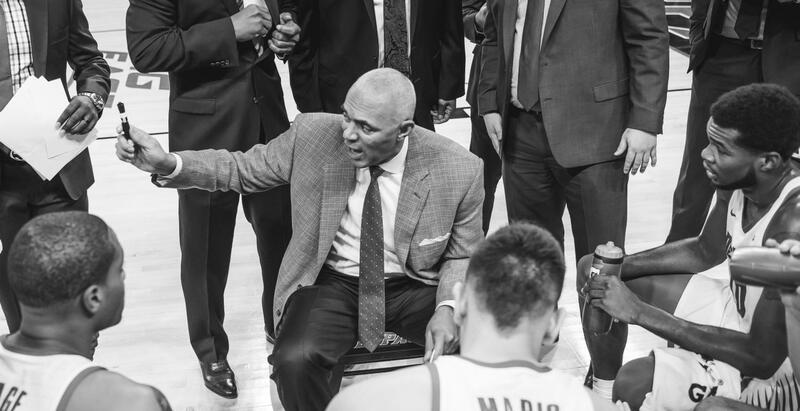 Defensively, coach Leitao’s squad has been good all year holding opponents to 67 points per game, while the field goal percentage allowed has dropped steadily in recent weeks. 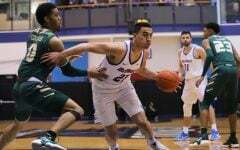 With a relatively successful non-conference slate now in the rear view mirror, a challenging conference slate gets started right after the Christmas break with two top 10 matchups against No. 1 Villanova and No. 9 Xavier. 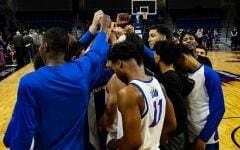 With this challenging start, the focus now centers on putting all the pieces together and competing in a challenging Big East. 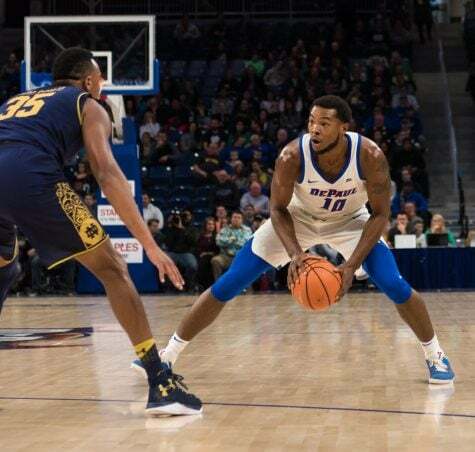 After prolonged dry spells hurt resulted in losses to Michigan State, Illinois and Northwestern, putting together more consistent performances is also something Cain believes the Blue Demons need to do more of in the coming months. 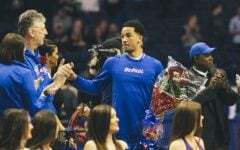 The Blue Demons begin conference play next Wednesday hosting Villanova at 7:30 p.m. CT at Wintrust Arena.